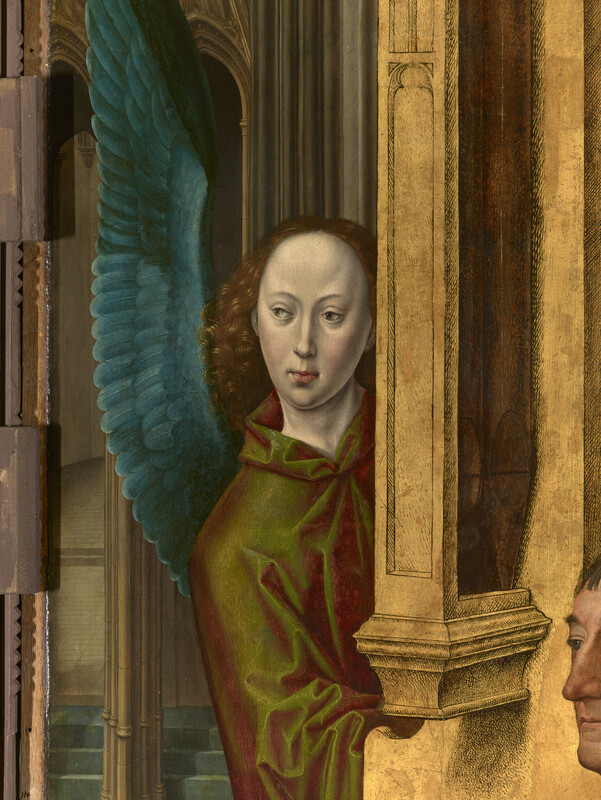 The four panels are thought to be the wings of a triptych and presumably the missing centre panel depicted a ‘Virgin and Child with Angels’. 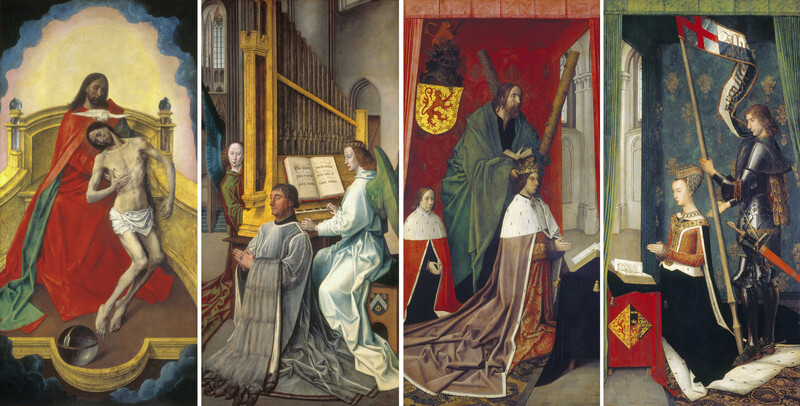 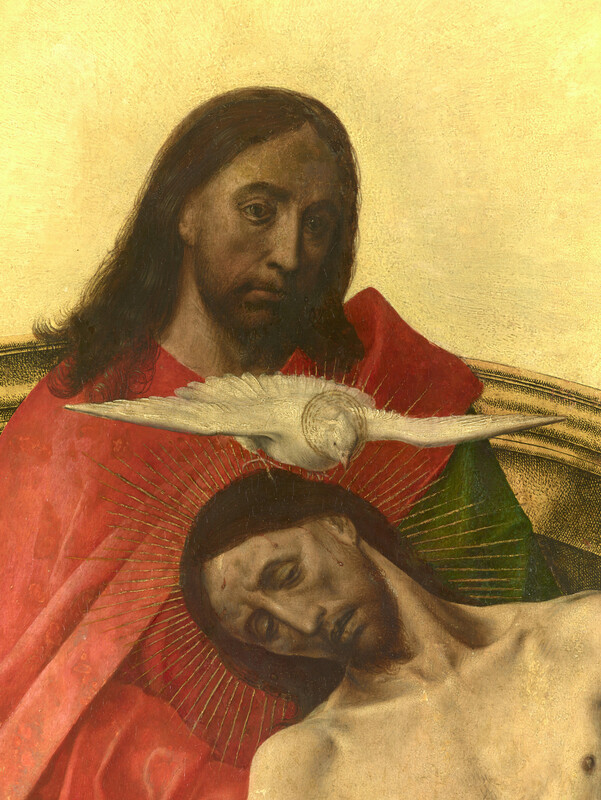 The open triptych would therefore have shown James III of Scotland (accompanied by his son James, presented by St Andrew) and Margaret of Denmark (presented by another saint, probably St George) before the Virgin, while the closed triptych would have shown the Trinity (God, Christ and the Holy Spirit in the form of a dove) worshipped by the donor Edward Bonkil. 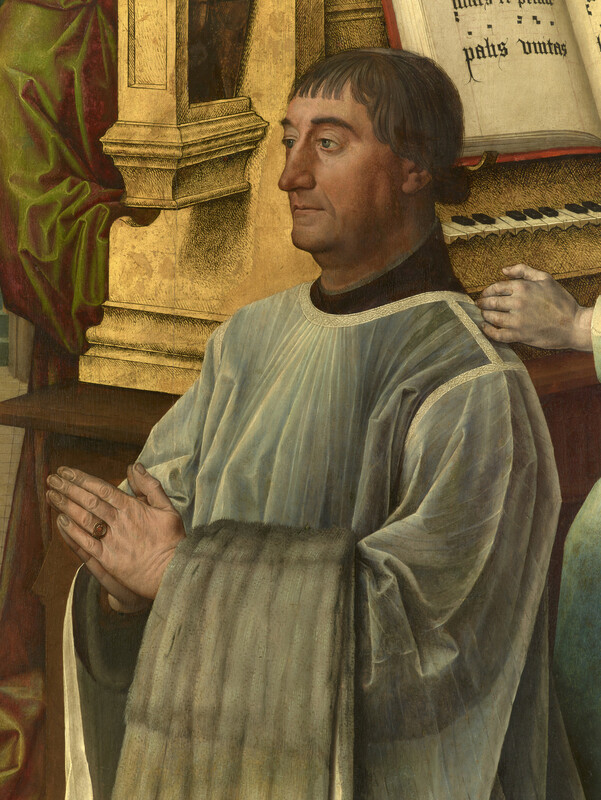 Edward Bonkil came from a family of Edinburgh merchants who traded with the Low Countries and became Provost of the Collegiate Church of the Holy Trinity in Edinburgh at the time of its foundation in 1462. 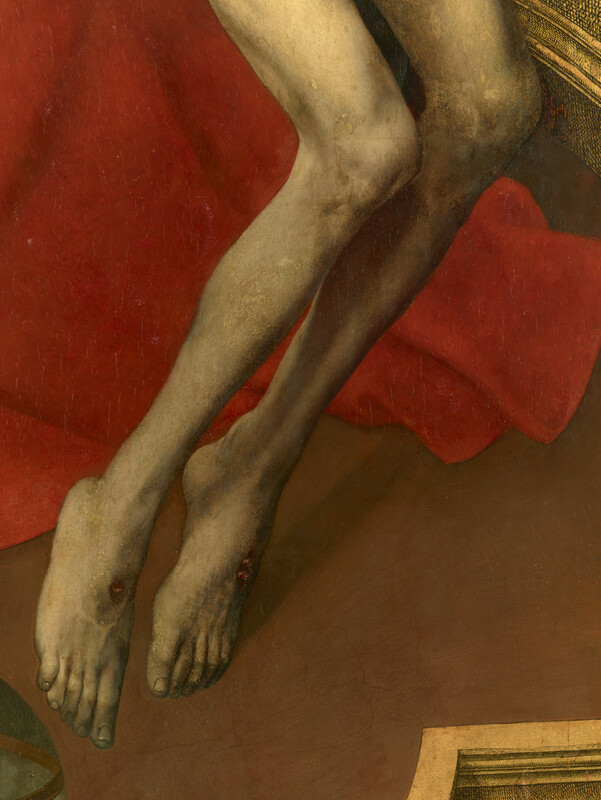 He died in 1496. 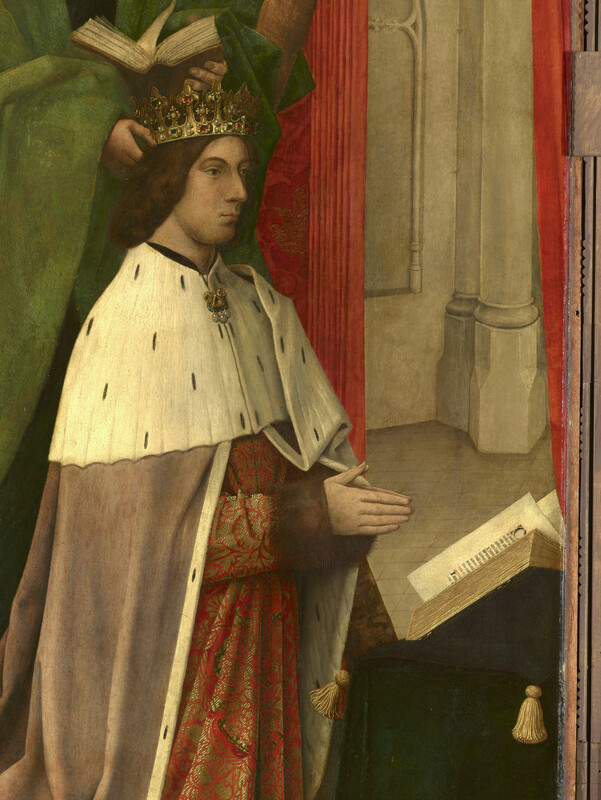 The attribution of the panels to Van der Goes, first proposed in 1833, has come to be universally accepted, although the depictions of the King and Queen are thought by some to be largely the work of assistants. 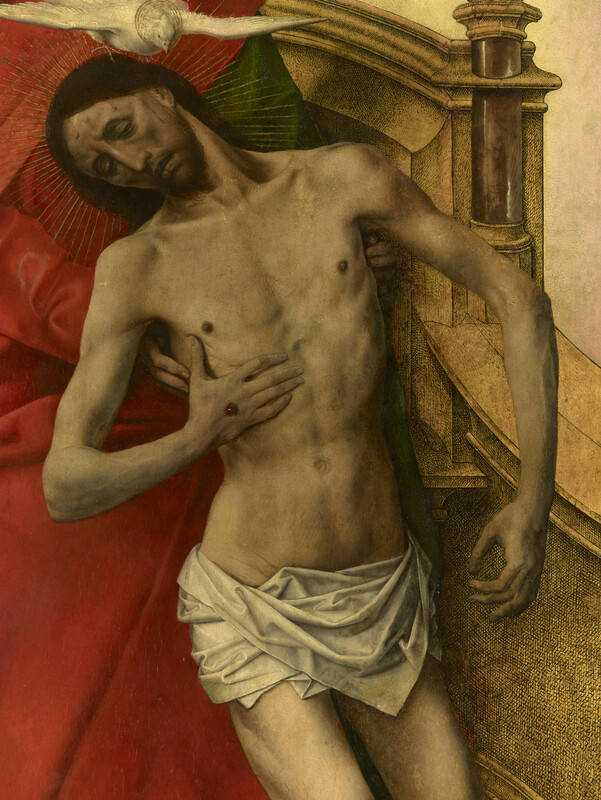 However, it is generally acknowledged that the artist designed all four paintings. 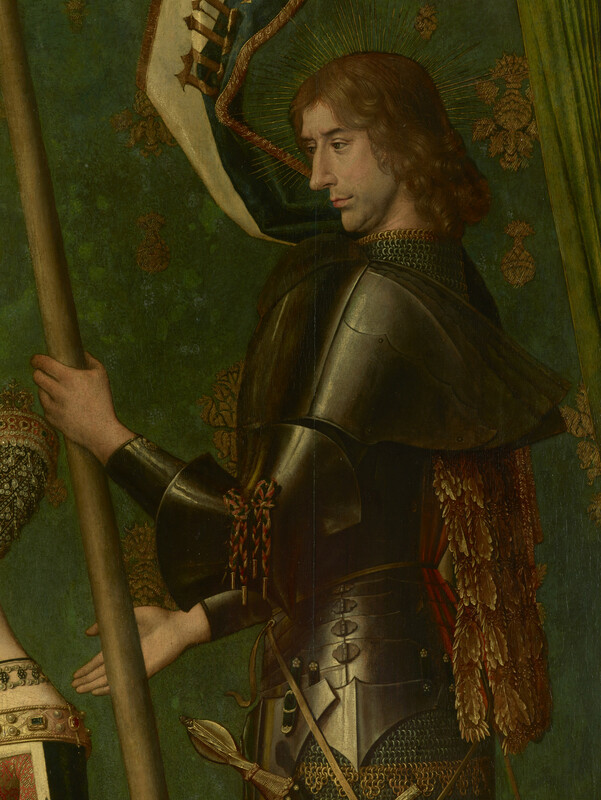 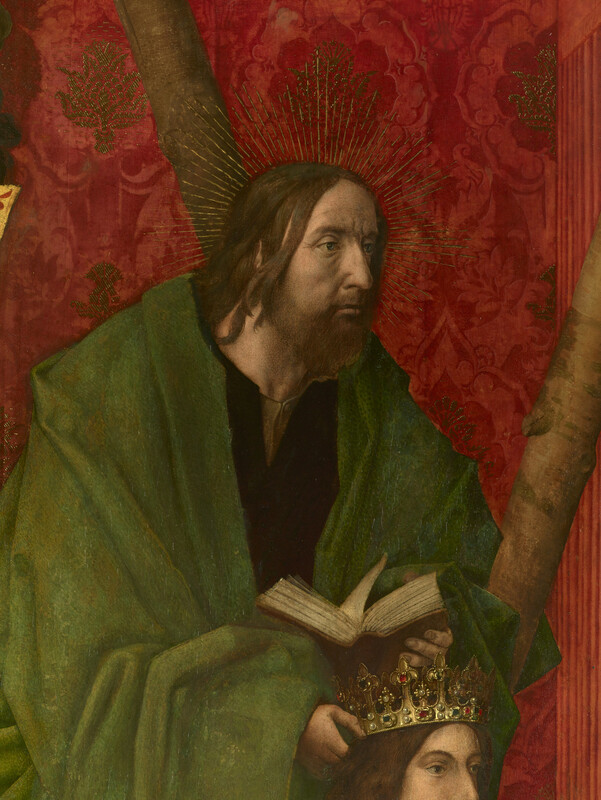 Van de Goes was inspired by the work of Van Eyck, and there are references here to his work, particularly in the figure thought to be St George. 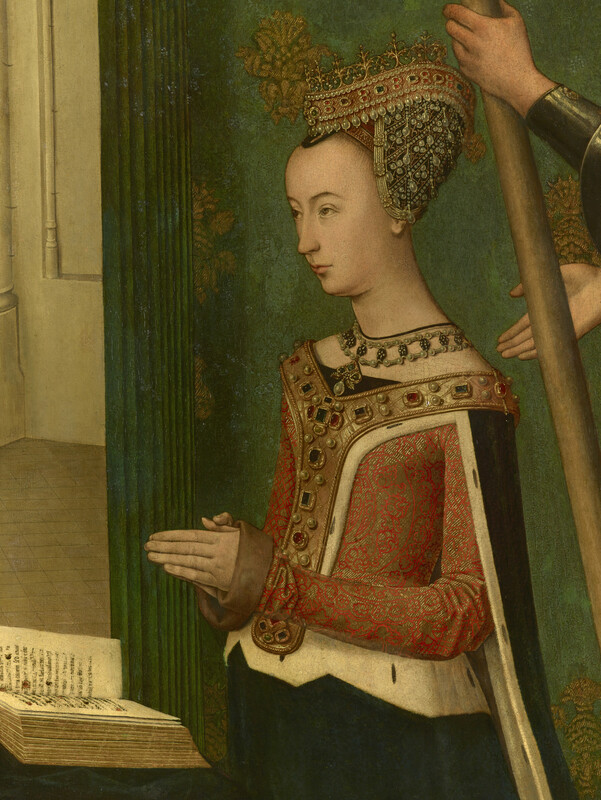 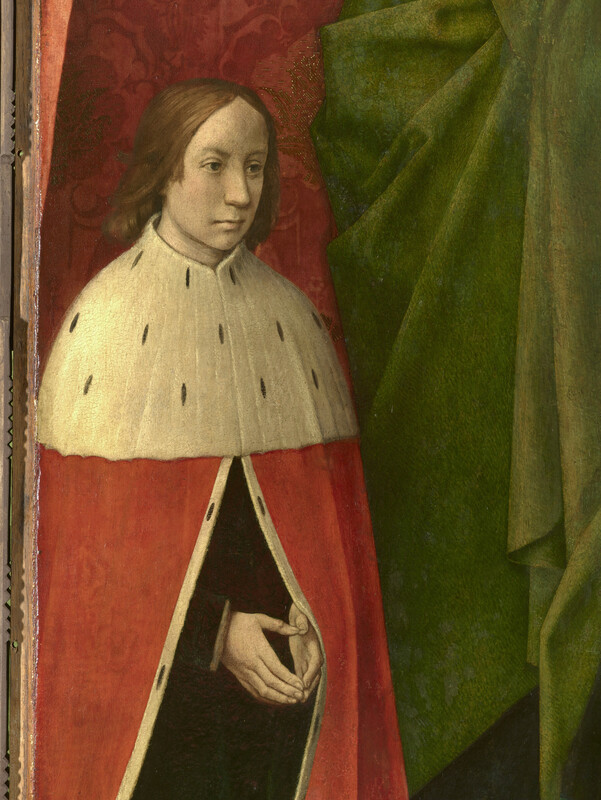 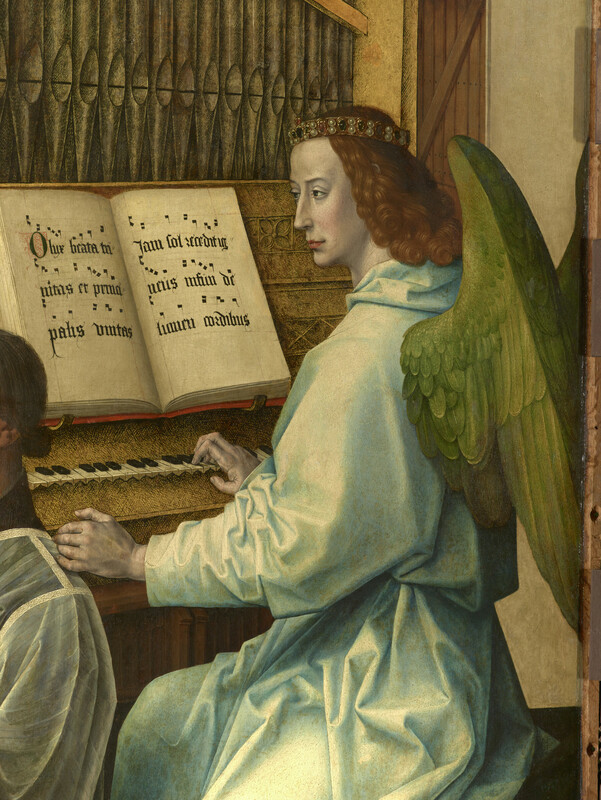 The panels were apparently commissioned after 1473, when the Prince was born, and perhaps before 1478, when the Queen gave birth to a second son. 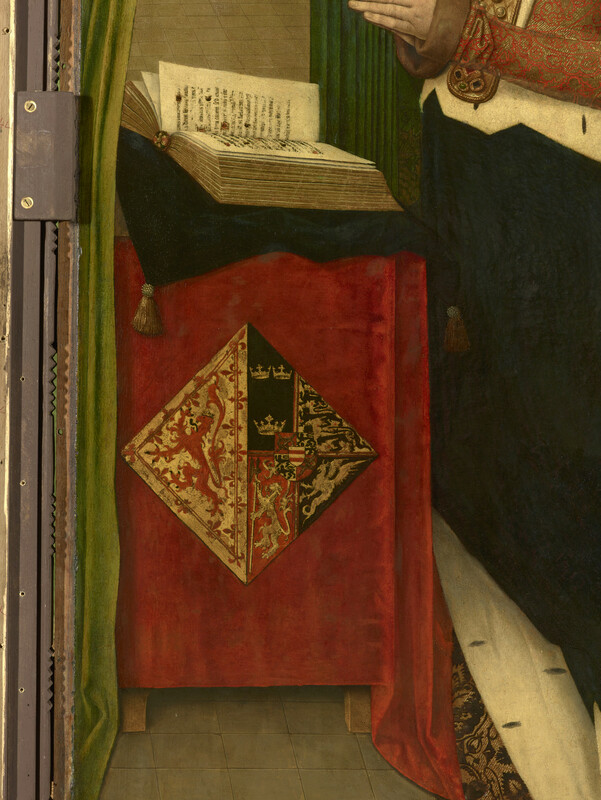 They would have been completed by 1482, when Van de Goes died.